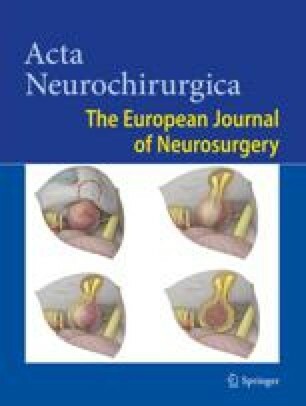 Subarachnoid haemorrhage secondary to closed head injury is rarely associated with traumatic aneurysms of the posterior circulation. We report two cases of ruptured vertebral-posterior inferior cerebellar artery (VA-PICA) pseudoaneurysms following closed head injuries. In each case, there was no associated penetrating injury or skull fracture. The first patient was kicked followed by disturbed consciousness. The computerized tomography (CT) scan on admission and cerebral angiography on the 11th day after the trauma revealed a massive subarachnoid haemorrhage (SAH) with pan-ventricular haemorrhage and an aneurysm of the right PICA near its origin. Further ruptures occurred on the 12th, 15th, and 66th day, and he died on the 69th day. The second patient complained of persistent headache and nausea following a fight on the previous day. A CT scan and angiography on the 1st day after the trauma showed posterior fossa SAH with fourth ventricular blood and a tiny protrusion of the left VA-PICA. On the 14th day, repeated angiography revealed a remarkable growth of the aneurysm, followed by the second rupture. The repair of the VA-PICA junction was urgently performed with successful exclusion of the aneurysm. To our knowledge, only eight cases of traumatic aneurysms located at the VA or the PICA near its origin have been reported. When intraventricular blood is found with massive subarachnoid blood or with posterior fossa SAH, this omnious complication should be considered. Traumatic VA-PICA pseudoaneurysms are curable by refined microsurgical techniques, if diagnosed in time. Keywords: Aneurysm; delayed rupture; PICA; repair; trauma.